What are Mox’s rates? May I use one of Mox cartoons? Do you really think that PMs are so evil? These are some of the frequently asked questions of Mox's blog. 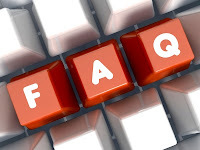 I have started a FAQ to answer them and I will try to keep it updated with new frequent questions as they arise. 1. Where can I buy the books? You won't find the books at any bookstore. The book is only available online, on Amazon US, UK, Canada, Spain, France, Germany and Italy. If you don't live in any of those countries, you can buy the book also at Createspace: Mox I, Mox II. 2. May I use one of your comic strips? This is the most common question. If you want to use them in your personal or professional blog, I am more than happy to give you permission. You are allowed to use them as long as you include a link to http://mox.ingenierotraductor.com and do not abuse this privilege (e.g. not copying 10 cartoons in a row). If you desire to include them in a magazine, newsletter, etc, please write me for permission and I will analyze on a case-by-case basis (so far, I have authorized almost all requests). If you intend to use only one cartoon you don't need any authorization, but if you want to publish cartoons periodically, you must ask permission. 3. What are Mox’s rates? And Alejandro's? Mox’s rates are very low, typically start from 0.02 per source word, though in some special cases he will accept less than 0.02. Mox's friend and colleague Calvo's rates start from 0.48 per word. Alejandro’s (the author of this blog) rates vary from project to project. He typically charges € 0.08- 0.14 per source word. He started translating in 1997 and he charged € 0.042 per word for his first translation. 4. Are you the author of both the text and the drawings? Until 2017, I was the author of both the text and the drawings. However, the characters are so fat that they require quite a lot of ink and time to draw and I had to outsource that task. Luckily, I found Santiago Astor, a great professional illustrator. If I had known that so many translators from all over the world were going to follow Mox stories, I would have put more effort into the drawings. 5. Why do you earn so little? I would be asking the university for my damned money back! I think you are mistaking the author with Mox. This is a comic strip about the fictional misadventures of a fictional translator called Mox, although many of the events are freely based on my personal experience. I, the author, do not have two PhDs (I am just doing a dissertation for one) and I earn far more than the minimum wage. In fact, I quit a very good job as an engineer when I realized that I could earn more as a technical translator and be able to manage my work time. …an American German to English translator? No. I guess that Calvo must have a common face. Everybody seems to think they know him. Suggestions are welcome! I am sure that each of you has many stories to share, and reality often beats fiction. I will credit your idea in the strip (if you wish so). 8. I bet you are not only a wonderful cartoonist, but also an excellent translator. Are you available for a project? Most PMs I know are charming. I guess that if you are not a people’s person, you do not work in a position that requires writing and receiving hundreds of emails every day. However, along the past eleven years I have known some “evil PMs” whose techniques are too wicked to be described here. 10. How much of Mox’s life is inspired in Alejandro’s? 11. I found a grammar/spelling mistake, aren't translators supposed to write well? The blog contains MANY mistakes. English is not my native language and I can't help but make mistakes. I only translate into Spanish, my native language. In any case, please let me know about the mistakes and I will correct them. If you notice mistakes on the books, I will correct them, too. Fortunately, since end 2010, Justin Bearden, a wonderful editor, corrects most of the strips. 12. You seem to be a polymath: engineer, translator, cartoonist, which activity do you prefer? When I was younger, I also worked delivering newspapers and brochures, as a private tutor, bartender, Spanish teacher, testing games for Nintendo and selling dancing floors at Harlquin. Later, I worked as a Professor Assistant at the ICAI-Pontificia de Comillas University, agricultural engineer at Umbría del Villar, electromechanical engineer at Red Eléctrica de España and technical translator (since 1999 to date). So far, cartoonist is my favorite one, but I guess that if I had to draw cartoons 8 hours a day, probably I would not like it so much! 13. You seem to have an inexhaustible source of inspiration. Where do you find inspiration? The more I write, the more inspiration I get. It was funny to discover how characters seemed to become alive after the first dozen strips or so. Since then, I have the sensation that they want to share their own stories. 14. Where do your visitors come from? Top ten: Spain, France, Italy, United States, United Kingdom, Germany, Argentina, Finland, Brazil and Canada. Contact me at mox@ingenierotraductor and I will do my best to help you. Please note that I receive tons of mails, so the reply might take a while and be brief.